Home Career Planning Course Choice Why I Chose MBA? 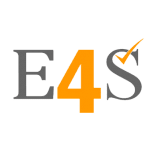 Edu4Sure believes that everyone has a reason to do MBA. The reason can be anything. One can decide after doing own research, counseling or interest but may also have a reason for parents choice. Here, we come up with some stories which may surely help our students before deciding MBA as a career. Story 1: Shaifali Mehta (NMIMS) so let us go through the story of Shaifali Mehta written by herself. Example is not the main thing for influencing others. It is the only thing. Inspired by this quote and with this opportunity through “My Career My Experience” initiative by Edu4Sure, I would like to share my example of how I paved my career path of doing an MBA after engineering. No! It’s not because it is a trend these days to do an engineering followed by an MBA. There is a story as to how I landed up doing an MBA and choosing it as my career path. I believe that, like charity, career counseling should also begin at home. Our elders are the first point of counseling for adolescents who are hardly exposed to any career counseling platform. I was also guided by my parents, elder cousins, and teachers. My parents always encouraged me to do whatever I like to and be self-dependant. Like most of the students with no clue of what do I want to do or what to choose as my career option, being an excellent academic record holder and having a keen interest in mathematics and science, I chose to take up nonmedical. With proper guidance and counseling from institutes in my hometown, I topped 12th board exams and got through BITS Pilani. Super excited to join one of the prestigious institutes in the country, I had few questions somewhere in the back of my mind. Am I also destined to join an IT firm like every other engineer? With a hope to solve this mystery of career options, I started this beautiful journey of 4 years. I tried everything, I always wanted to, in these four years. I learned swimming, participated in cultural activities, organized events and volunteered for social causes. All these extracurricular activities helped boost my confidence and develop my interpersonal skills. I learned a lot and enjoyed a lot but still could not find the right answer to the questions I had in my mind 4 years ago. I started working in Mumbai after college and worked for a good 2 years. But I always had this knack of solving mathematical, analytical and logical puzzles. And coincidentally many of my friends were preparing for MBA entrance and I realized that the kind of questions asked in these entrance exams is what I love to solve. Without thinking much about why MBA, I decided to go for an attempt that year (while working) but could not get aspired percentile. I was disheartened. I did retrospection so as to know that where I lagged. Then I realized that for any competitive exam one needs guidance and career counseling. I went to one of the MBA preparation institutes in Mumbai and spoke to mentors there. They guided me to understand the nitty-gritty of a post graduation in management and helped me realize that this is something I want to choose as my career path. I worked hard for a few months and joined one of the prestigious institutes in Mumbai and currently studying in 1st year. Here also I am actively participating in various extracurricular activities and working for social causes with social responsibility forum of our college. This was a ‘not so easy to pave’ journey of my career path. What I learned from my journey is that our career lies within ourselves. We just need to explore it from within. I would encourage everyone to find out what they love to do and pursue that as their career. Talk to your parents, your elder cousins, and seniors regarding career options as much as possible. If you couldn’t find out, I would suggest trying new things in different areas and do not be satisfied until you find what you love to do as life is not too short to do just one thing. Explore new things beginning from early teenage itself and never become a victim of procrastination. And at the top of everything believe in yourself. I hope this post will help some of you who are in similar situations and I would be glad if it helps even a single person. Thank you Edu4Sure for giving me this opportunity to share my experience. Well, It’s a complicated question that comes in mind of everyone who goes for admissions in MBA(Masters in Business Administration)or who are MBA pass outs and many people struggle with this question because they actually follow someone else’s advice or take admission because they don’t have any option after graduation. Due to lack of proper guidance, some students take it easy and some think of it as a difficult task. 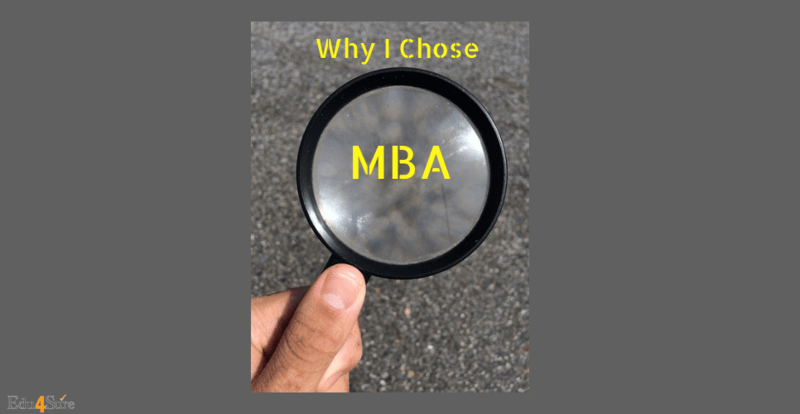 There are also people who actually have reasons to choose MBA as to change their current field or to gain some new skills for becoming effective managers. Actually, this two years of degree will burnish your abilities to make you such a personality that will slake the eligibility to handle the administration of any organization globally whereas, on the other hand, some choose to become the entrepreneur. Well, I have some similar but a few different reasons. As I did my +2 in the non-medical stream and realized that I am not made for this field then I changed my field to commerce and joined B.com (Bachelors in Commerce) Professionals. It was not an easy choice for me to enter into a new field and learn everything from basics when everyone knows much more than me but I did it and I actually started enjoying this field. In my college, there was a workshop where someone gave a lecture on why education is so necessary for women. From where I actually understood the purpose of my life that my education is actually going to make me a better person and provide me the skills which I will need in my personal life also and my education is going to give me the power to face any circumstances and not get dependent on anyone throughout the entire life. During my graduation I enjoyed the marketing subject and at the end of my graduation I decided to do MBA because I felt that this is the thing which will help me to actually enhance my knowledge, personality and skills which I was lacking to enter into this dynamic corporate world to handle complex business situations in a global scenario and excel in the field of marketing. MBA is actually a complete package which will make you industry ready and will give you an opportunity to increase your network with other people which will help you in the future. After my graduation, I got admission into one of the prestigious MBA college i.e LM Thapar School of Management which is far away from my home. Leaving home is not the easy option for me but it is a quid pro quo thing wherein you get more than you give, the best deal I mean to say. The best thing about an MBA college is that you will be exposed to a diversity of people coming from different places with different motives, different stories and you will actually learn how to deal with them. Well now I am in an MBA and what I am experiencing is all different from my graduation through different projects which are based on practical work which is actually enhancing my skills of presenting myself and dealing with other people. No matter in what field you are, with the learning attitude, you become the master. Previous articleHow To Prepare For IIT JEE Advanced? Next articleWhy Internships Are Important?